*Note the next workshop will be Friday 6/21/19 at 4pm at Solfire Yoga Studio in midtown Sacramento. In this mindfulness workshop, girls will learn to practice the wisdom of mindfulness and relaxation skills for stress & anxiety relief. The Instructor: Dr. Marla McMahon is a clinical psychologist with 20 years experience in the psychology field. She is also a certified yoga teacher and mindfulness teacher who works with individuals of all ages on stress & anxiety relief. She has post-graduate training in mindfulness thru the UCSD School of Medicine Mindfulness Program and training on iRest Yoga Nidra (level 1) through the trainings of Dr. Richard Miller. 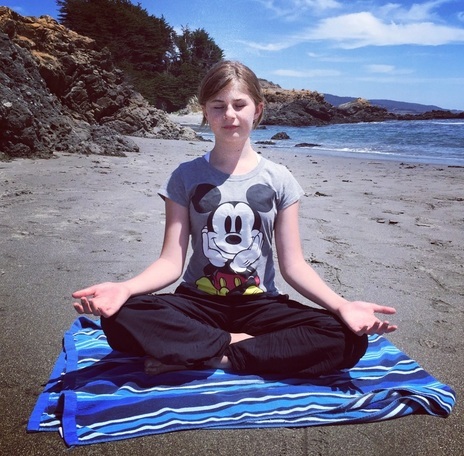 She is also certified in mindfulness based stress reduction for teens (mbsr-t). *Contact Dr. Marla McMahon at 916-290-3994 or mmcmahonpsy@gmail.com for more information.